Akhtar has also been selected for the national FBI’s 2018 Director’s Community Leadership Award (DCLA) in recognition of his outstanding service to the local community and of enduring contributions to the advancement of justice . While the award was presented to Akhtar at the FBI offices in St. Francis, Wisconsin in February, 2019 FBI Director Wray will formally present the Award to Akhtar at the FBI Headquarters in Washington, DC on May 3, 2019. Martin Alvarado has served on the ACLU of Wisconsin Board since 2010. He works for the Madison Public Library and considers free access to information and privacy as inherent citizen rights. Born to a mother from the United States and Mexican father, he believes there are basic rights that apply to all humans, regardless of their immigration status. 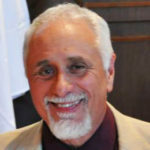 Nino is a former member of the University of Wisconsin Board of Regents, the University of Hospital & Clinic Authority Board and is a former President of the Wisconsin Technical College System Board of Directors. 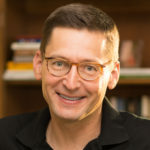 Besides his leadership role as President of CWAG, which helps protect the rights of Wisconsin’s 1.3 million elderly and people with disabilities – he is a part-time Adjunct Professor at University of Wisconsin – Platteville, teaching “Women, Law & Social Control,” in the Criminal Justice Department and “Energy, Environment & Society” in the School of Engineering. Nino the co-author of “Today’s Hidden Racism: A Polite Apartheid,” which alerted American fifteen years ago,to the hidden racism of “racial disparities” in our public educational system, the growing income disparities, as well as the racial disparities in the American criminal justice system. Nino has had a successful business career as a Senior Executive in the Healthcare and Energy Industries, along with serving on numerous local, county and state committees, boards, commissions and task forces for both Democrat and Republican Governors. 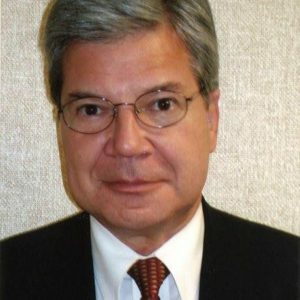 He currently serves on the Board of Directors for the National Council of Consumer Organizations (NCCO) and has played a major role in founding three of Madison’s Sister Cities with Vilnius Lithuania, Camaguary Cuba and Mantova Italy. Nino international professional experience is extensive and was a free-lance journalist, behind the Soviet Iron Curtain in 1983,1988 and 1990 and witness the fall of the Soviet Union, during its control of eastern Europe and Russia. Omie Baldwin is a licensed clinical social worker, retired from the University Health Services at the University of Wisconsin. She is an enrolled member of the Navajo Nation and is a member of the American Indian community of Madison. Omie has dedicated her time to many cross-cultural initiatives and groups over the years. She currently serves on the board of the Create-Ability Program of Madison, which serves the differently-able population with residential assistance and work training, and also as an advisory board member for the Rainbow Project, providing mental health services for ethnic minority families. She has previously served as board chair for the Eugene and Linda Farley Center for Peace, Justice and Sustainability and as a board member of the Parliament of the World Religions. Ben Gaddi Dan is a co-founder of the organization Today Not Tomorrow and currently serves as the Senior Executive Producer of Club TNT, a multimedia community and family oriented resource. Its mission is to strengthen families and promote community by highlighting the accomplishments and talents of youth of color, providing a public platform for their voice to be heard, and by spotlighting the organizations and individuals that work to support our youth and those who care for them. Dan was one of the driving forces behind the formation of the NAACP of Dane County. He has been instrumental in the creation of numerous publications including the Ambassadors Time Journal, the Capital City Quarterly, and the Simpson Street Free Press. He recently created a Men’s Group for Fatherhood and serves as its facilitator. Gaddi Ben Dan received the 2018 MLK Humanitarian Award. Charles L. Cohen is E. Gordon Fox Professor of American Institutions, Emeritus, at the University of Wisconsin-Madison. His scholarship has focused on religion in America and on the braided histories of Judaism, Christianity and Islam. He has co-edited, among other books, Gods in America: Religious Pluralism in the United States (Oxford University Press, 2013), and The Future of Interreligious Dialogue: A Multireligious Conversation on Nostra Aetate (Orbis Press, 2017). Oxford University Press will publish Abrahamic Religions: A Very Short Introduction in 2019. He served as the Director of the Lubar Institute for the Study of the Abrahamic Religions at UW-Madison, and he currently sits on the Religious Practices Advisory Committee, Department of Corrections, State of Wisconsin. Tim Cullen is a life long resident of Janesville, WI and a graduate of UW-Whitewater. He served as a Wisconsin state senator from 1975-1986 (as majority leader from 1982-1986) and again from 2011 – 2015. 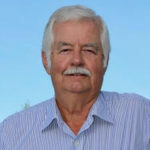 Tim served as the Secretary of the Wisconsin Department of Health and Social Services from 1987-1988 and as a member of the Janesville school board from 2007-2010. 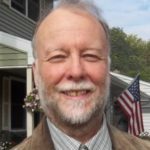 His the author of “Ringside Seat: Wisconsin Politics, the 1970s to Scott Walker” and is currently co-chair of Common Cause Wisconsin. I am with Madison Chapter 25 of Veterans for Peace (VPP), a national non-profit 501(c)(3) educational and humanitarian organization dedicated to the abolition of war. VFP was founded in 1985 by ex-service members committed to sharing the horrors they experienced. We know the consequences of American foreign policy because once, at a time in our lives, so many of us carried it out. We find it sad that war seems necessary and justified, so often, to those who have no knowledge of it. We will steadfastly, and patriotically, continue to denounce war despite whatever misguided sense of euphoria supports it. I served in the United States Air Force for four years, 1962-1966. I was a Scoutmaster for three years and was a volunteer on the Belleville Fire Department for almost 30 years. 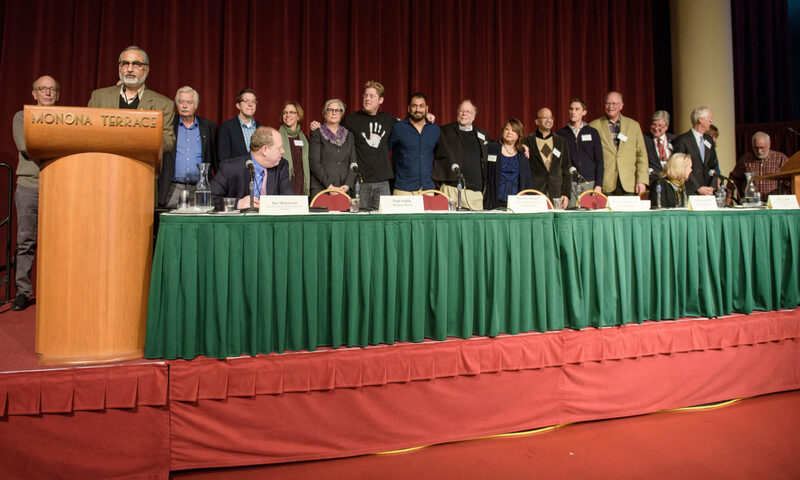 When the USA invaded Iran I discovered there was a Veterans for Peace chapter in Madison and joined. My focus is on installing the Memorial Mile in Olbrich Park for a week before Memorial Day that represents the cost of war in lives lost by the USA. Kris Gorton is the pastor at Memorial United Church of Christ (UCC) in Fitchburg. She and her husband grew up in Southwestern Wisconsin and enjoy bicycling, hiking, and traveling. In seminary, Kris’ studies focused on interreligious engagement which included a Study Tour to Israel and Palestine in 2016. Currently, Kris is on the Stewardship of Public Live committee of the Wisconsin Council of Churches, the Board of Worker Justice Wisconsin, and is a founding member of the UCC’s Economic Justice Movement. 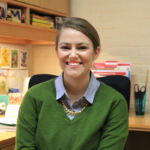 Molly is an education consultant with the Wisconsin Department of Public Instruction (DPI). In her role at DPI, Molly manages a grant that works with school districts across the state to create safe and supportive environments for LGBT students, promote exemplary sexual health education, and increase access to key sexual health services. 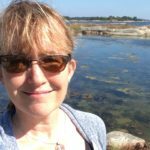 Prior to joining the team at DPI, Molly worked for over 15 years as a health educator at the Wisconsin Department of Health Services in the AIDS/HIV Program’s Prevention Unit. 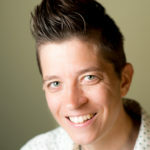 Molly also works as a private consultant on lesbian, gay, bisexual, and transgender (LGBT) health with experience training providers, conducting research with LGBT communities, and developing strategies to increase inclusion in mainstream services. 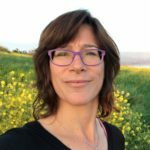 Molly brings over 18 years of experience as a trainer and educator, specializing in LGBT health, intimate partner violence, HIV, and community readiness assessments. Elana Kahn is director of the Jewish Community Relations Council of the Milwaukee Jewish Federation, which works to create a just community that reflects the best of American and Jewish values by convening and mobilizing the Jewish community through education, advocacy, social justice and support for Israel. Its program, Hours Against Hate, mobilizes people to connect with people across lines of race, religion, culture, class, and more, in an effort to dismantle bigotry and promote respect. She serves on the organizing committee of the Community Coalition for Quality Policing, a diverse group of organizations and faith leaders who are working to improve police community relations, reduce crime, and improve the lives of community members by implementing a new model of policing. She also serves on the executive committee of the Interfaith Conference of Greater Milwaukee and the Lux Center for Catholic-Jewish Studies at Sacred Heart School of Theology. An award winning writer and editor, she was formerly editor of The Wisconsin Jewish Chronicle and president of the American Jewish Press Association. Pardeep Kaleka is the eldest son of Satwant Singh Kaleka, the former president of the Sikh Temple of Wisconsin who was shot during the mass shooting at the temple on August 5th, 2012, that killed six and wounded four. 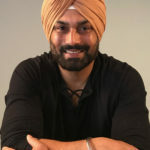 Pardeep grew up in Milwaukee and graduated from Marquette University. Being a former Milwaukee Police Officer and a current teacher in the inner city, Pardeep is no stranger to the never-ending battle against racism, bigotry and ignorance. 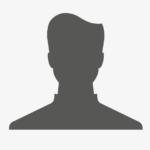 He firmly believes that the lamp of knowledge and truth will outshine all darkness in the world, and does his best to profess this through his work with Serve2Unite.org. 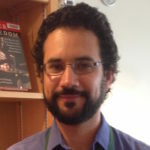 Michael Light is an Associate Professor of Sociology and Chicano/Latino Studies at the University of Wisconsin-Madison. His research primarily focuses on crime, punishment, and immigration. 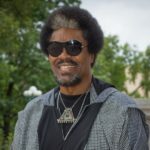 He completed his PhD in Sociology at The Pennsylvania State University in 2013 and taught at Purdue University prior to coming to Madison. 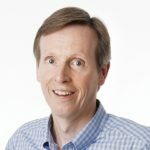 Mike McCabe was raised on his family’s dairy farm and brings that rural background and a professional lifetime of experience in politics, journalism, public sector management and nonprofit leadership to his work. 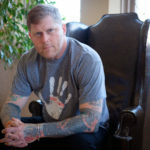 Mike is the founder and president of the grassroots group Blue Jean Nation and the author of Blue Jeans in High Places: The Coming Makeover of American Politics. For 15 years Mike led the Wisconsin Democracy Campaign, an independent watchdog group that tracks the money in state elections and works for reforms aimed at making people matter more than money in politics. He was a candidate for governor in 2018. In the late 1980s and early 1990s, Arno Michaelis was a founding member of what went on to become the largest racist skinhead organization in the world, a reverend of a self-declared “Racial Holy War,” and lead singer of the hate-metal band Centurion, which sold 20,000 CDs by the mid-nineties and is still popular with racists today. Single parenthood, love for his daughter and the forgiveness shown by the people he once hated all helped to turn rno’s life around, bringing him to embrace diversity and practice gratitude for all life. Today, Arno is a speaker, author of “My Life After Hate” and very fortunate to be able to share his ongoing process of character development working with Serve2Unite.org. Arno enjoys spending time with his daughter, art, music, and all forms of fearless creative expression, along with climbing things, being under water, and the wonderful natural beauty of our planet Earth. Learn more at mylifeafterhate.org. Megan Miller (EMPA Candidate, Maxwell School of Citizenship and Public Affairs at Syracuse University; B.S. 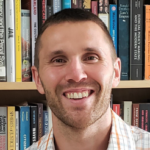 in Community and Nonprofit Leadership at the University of Wisconsin–Madison) is Assistant Director of Civic Engagement and Communications at the University of Wisconsin’s Morgridge Center for Public Service. She manages programs, events, and communications to support the center’s mission of connecting campus and community through service and learning. Megan was one of three co-authors for the UW’s 2015 Carnegie Community Engagement Classification application. She is also a founding member of the Young Nonprofit Professionals Network – Madison chapter. Rick Orton is retired from a career in Community Development. His experience includes community health education, community and economic development, organizational and group development, and volunteer management. In retirement, Mr. Orton creates educational courses focused on issues of injustice and inequality in Madison and serves on a number of advisory panels with focus on these issues. 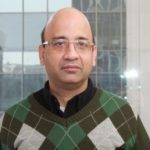 Amitabh Pal is the Communications Director of the Freedom From Religion Foundation. Prior to joining in February 2016, he was the Managing Editor of The Progressive magazine for more than a decade. He was also the editor of the Progressive Media Project, an affiliate of The Progressive that sends out op-eds through the Tribune Wire Service to hundreds of newspapers in the United States and other countries. Pal has appeared on C-SPAN and BBC and television and radio stations all over the United States and abroad. 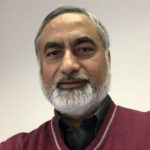 His articles have been published in school and college textbooks in the United States and Australia. Pal teaches a course at Edgewood College in Madison, Wisconsin. He has a Master’s in Journalism from the University of North Carolina and a Master’s in Political Science from North Carolina State University. A. Steven Porter is a Madison civil rights lawyer who litigates to protect individuals and groups against deprivations of their civil rights and employment discrimination. Mr. Porter has successfully litigated to protect First Amendment rights of an assistant professor seeking the right to protest at the State Capitol with the Solidarity Singers (Kissick v. Huebsch), people demonstrating in support of Native American spearfishing treaty rights (Koser v. Price County), an organization presenting LGBT theater productions (MGAC v. Milwaukee), and a Muslim women subjected to searches of her hijab when visiting a loved one in a state prison (Rhouni v. Casperson), among others. He also litigates Constitutional claims of police and other governmental misconduct.Mr. Porter serves on the board the Civil Rights and Liberties Section (CRL) of the State Bar of Wisconsin where he is active on its legislative committee. He is a cooperating attorney with and former board member of the ACLU-WI, a member of the steering committee for the American Constitution Society Madison Chapter, and a member of various employment lawyers associations. He is regularly called upon to present at continuing legal education (CLE) seminars on topics related to civil rights and employment discrimination, and, he has produced many CLE seminars on civil rights and employment discrimination topics. 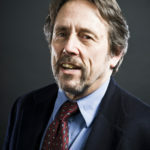 His article on the civil rights of children was published in the Wisconsin Bar Journal. 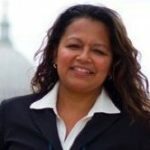 Gloria Reyes is Deputy Mayor to Public Safety, Department of Civil Rights, Public Health and Community Services for the city of Madison. She also serves on the Education committee serving as liaison to the Madison Metropolitan School District and the University of Wisconsin Madison. Gloria has served 5 years as the board president of the Dane County Chapter of the National Latino Peace Officers Association. Ulrich Rosenhagen is Director of the Center for Religion and Global Citizenry and Lecturer in Religious Studies at UW-Madison. He has written on Jewish-Christian relations, Social Protestantism, and interreligious dialogue in academic journals as well as outlets like The Christian Century, The Chronicle of Higher Education, Commonweal, Religion News Service, Sojourners, Dissent, and the Huffington Post. He was a researcher at the Technical University of Dresden and has held a research fellowship at Boston University. Prior to coming to Madison in 2006, he worked for several years as a Lutheran pastor in Germany and Miami, FL. Levi Schlimgen is a high school student in Mount Horeb. He dedicates most of his time to music and working on the high schools tech team that manages shows in the auditorium. He became inspired to do something about the hurt and hate in his community after attending Moving Past Hate, a forum at Monona Terrace in 2017. He encourages those around him to stand up for not only yourself but for others as well. He hopes to work and learn with many in a journey against hate. Senator Schultz earned a Bachelor’s Degree from the School of Business at UW-Madison. 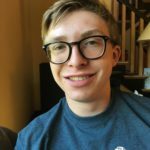 He is a licensed real estate agent, and he and his wife, Rachel, own and operate a 210-acre century farm in Sauk County. They have two adult daughters, and currently make their home in Richland Center. Dale was elected to the State Assembly in 1982, and then to the State Senate during a special election in the fall of 1991 where he remained until his retirement in 2014. During his legislative tenure, he was elected Majority Leader in 2003, and served on numerous committees, including the Joint Finance Committee. Senator Schultz, who is known as a consensus leader, continues to remain engaged by promoting reforms for public schools, encouraging appropriate funding for education, and, along with Senator Cullen, is active in re-districting reform. Senator Schultz believes bi-partisan collaboration is the best way to accomplish change that will be long lasting. Steve Starkey is the Executive Director at OutReach LGBT Community Center. He has worked with social justice nonprofit organizations and cooperatives since the 1970s, as a volunteer, donor, board or committee member, or staff member. Throughout his career Steve has been involved in addressing issues such as peace and justice, environmental preservation, economic justice, racial justice, lesbian, gay bisexual and transgender (LGBT) civil rights and many other causes.Steve served two terms on the board of New Harvest Foundation (LGBT fund for Dane County) from 1996 to 2002, was the Founding Vice President of the Social Justice Center from 2001 to 2003, the Treasurer of the Board of Citizen Action of Wisconsin Education Fund from 2003 to 2007, and served on the board of Community Shares of Wisconsin from 2008 to present. Steve is from a blue collar union family and strongly supports the rights of people to collectively bargain. 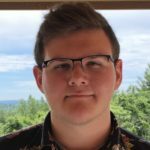 Sam Szalkowski is a high school student in Mount Horeb who is heavily involved in music, drama, and athletics. Inspired to serve by seeing the damage hate can do, he is dedicated to spreading a message of love and acceptance in his community. His goal is to encourage people of his generation to stand against hate in a nonpartisan and nonviolent way. 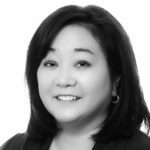 Caroline Tu Farley is the Program Director for the Linda and Gene Farley Center for Peace, Justice and Sustainability located in Verona, WI. The Farley Center is a non-profit organization dedicated to progressive change, community partnership, environmental sustainability, peace and social justice. The Center consists of three primary areas that include a farm incubator, a nature preserve burial ground , and programs that promote peace and justice. Caroline provides the coordination and oversight of the programs, volunteers and event planning and implementation of programs at the Center.She also develops and nurtures partnerships with community based groups and organizations working toward making this a more peaceful, just and sustainable community. 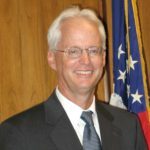 John W. Vaudreuil was the United States Attorney for the Western District of Wisconsin from August 2010 to March 10, 2017. . Prior to his appointment to this position in by President Barack Obama, he was an Assistant United States Attorney in the district since January 1980 representing the United States in criminal cases in federal court. As US Attorney, Vaudreuil led an office committed to the fair and equal enforcement of federal law, including civil rights laws, both in civil and criminal cases. His office aggressively pursued civil housing discrimination cases and cases involving violations of the Americans with Disabilities Act. As the chief federal law enforcement officer, Vaudreuil also tirelessly worked to build relationships of trust and understanding with communities that might be targets of civil rights crimes. Vaudreuil also has international teaching experience. Since 2001 he has supported the rule of law efforts of the U.S. Department of Justice, teaching prosecutors, defense attorneys, and judges in Albania, the Czech Republic, Qatar, Kuwait, United Arab Emirates, Macedonia, Uzbekistan, Kosovo, Republic of Georgia, Russia, Serbia, Uganda, Indonesia, Kyrgyzstan, Pakistan, Estonia, Moldova, Bosnia Herzegovina, Bangladesh, Kenya, Ukraine, Azerbaijan, Nepal, and Tanzania. Laurie Zimmerman is the Rabbi of Congregation Shaarei Shamayim in Madison. She has been serving the congregation since 2003 upon her ordination from the Reconstructionist Rabbinical College in Philadelphia, Pennsylvania. In 2015 she published a curriculum for children and teenagers entitled Reframing Israel: Teaching Kids to Think Critically About the Israeli-Palestinian Conflict. 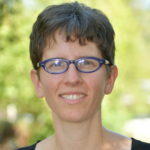 Rabbi Laurie has been active on several non-profit boards and with several local initiatives in Madison, including the Reconstructionist Rabbinical Association, the Interfaith Coalition for Worker Justice, and Voces de la Frontera. She is a graduate of the University of Wisconsin-Madison.